If you didn’t get a chance to check out the best Shopify themes for your online store, then we would like to get you up to speed. 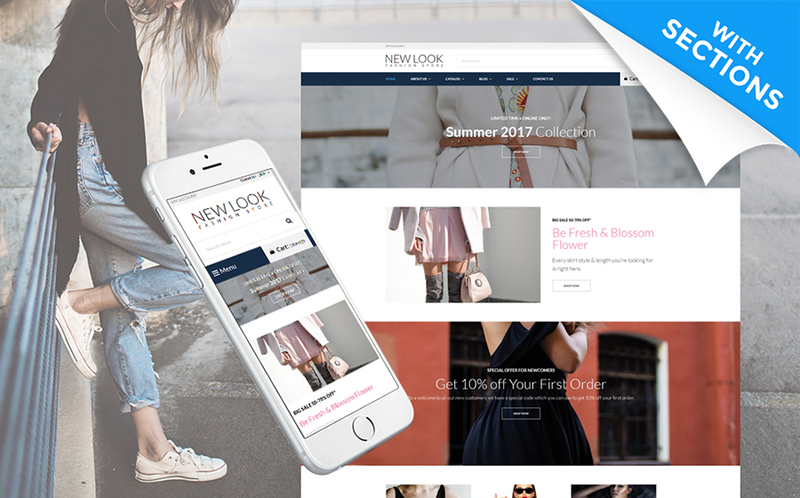 Below you can find 15 best Shopify themes designed to deliver a really smooth experience across all modern devices. Today is imperative to increase mobile conversions. Therefore, invest in those only that provide a great mobile experience to the online customers. That’s why Shopify platform helps online retailers launch mobile-friendly online stores in less than a day. Let’s talk business, merchants do need to manage their online stores in different languages or personalise some automated reminders. And Shopify can save the day. Apart from this, bootstrap Shopify themes offer new styles of scrolling which enhance the shopping journey of your online customers. No matter what business you are in, if you want to stand out from the crowd, don’t be different. Be outstanding. 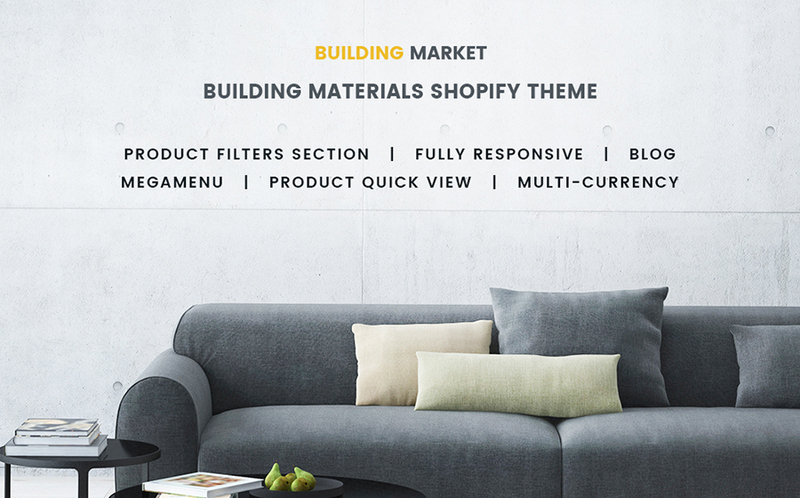 At this point, we recommend you to check these 15 best Shopify themes. Designed to bedazzle your online audience, they offer amazing features that go above and beyond. Well, enjoy these eye-catching solutions now. Finally, you can create a positive brand perception and attract more and more customers. Poke around. In fact, it’s fun. 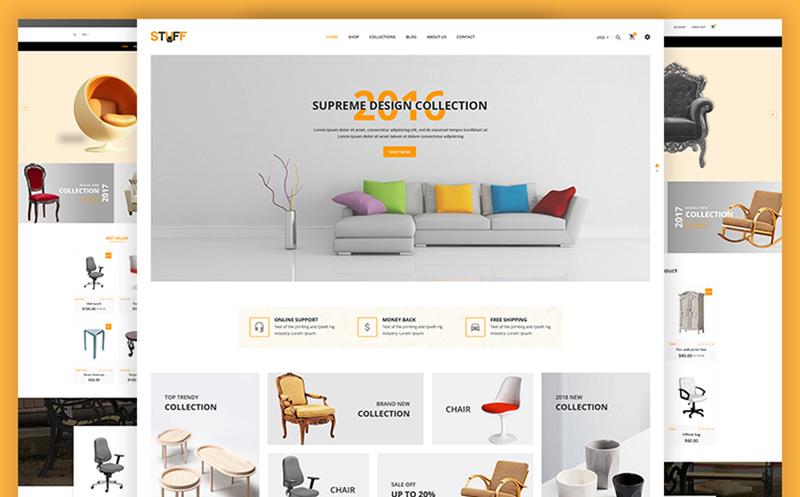 A nice Shopify theme can be the thing for your future online store selling furniture, building material, or other industrial products and services. In fact, it offers multi-currency support, MegaMenu, Product Quick View, and a fully responsive design. Check its live demo for more details. Here’s a clean and modern Shopify theme that suits well for an online store of any kind. Besides, it offers nine unique homepage layouts to choose from. Finally, its minimalist design ensures an awesome design while offering endless possibilities. 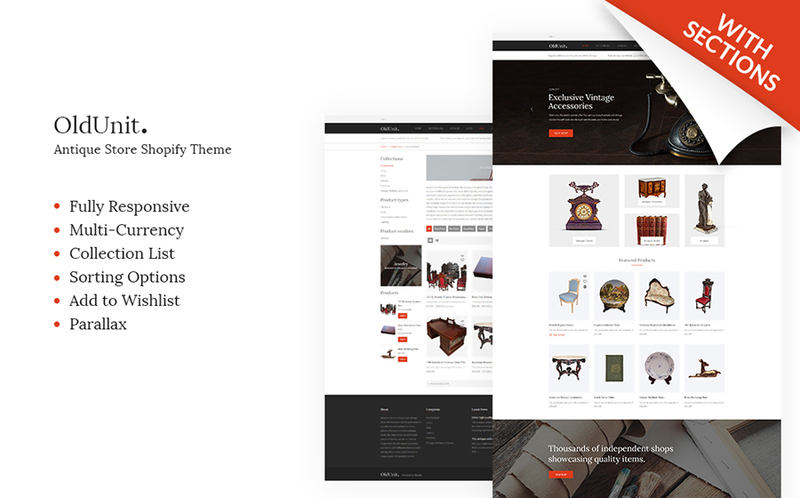 Take a look at one of the best specimen of Shopify themes for your online store. Built on Bootstrap 3 framework, it ensures a clean and elegant design that truly speaks of your products. In the same way, promote your best products using three unique sliders. This Parallax Shopify theme can help set your online store up and running with no headache. Well, it comes with sorting options, Collection List, Single Product, Add to Wishlist, Brands, MegaMenu, and beautiful slideshow. Indeed, its responsive design will be rendered correctly on any device. Wish to start selling antique products? Great – that’s cool. With OldUnit., you can impress your potential audience with an awesome design and great features your online store can offer. Create social pages, add beautiful images, make any changes you need to help your e-store stand out from the crowd. 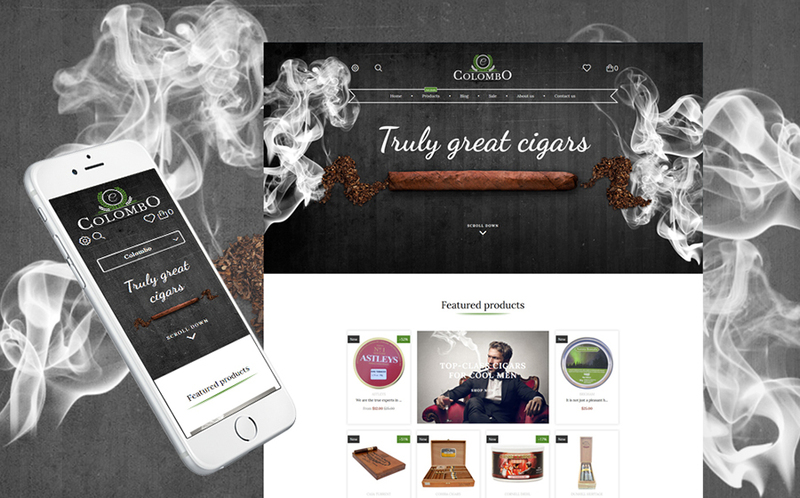 Add a character and styles to your online cigar store with Colombo. Launch a trendy e-store selling exclusive tobacco products and accessories hassle-free. Then, give your visitors an immersive on-site experience thanks to Parallax scrolling. 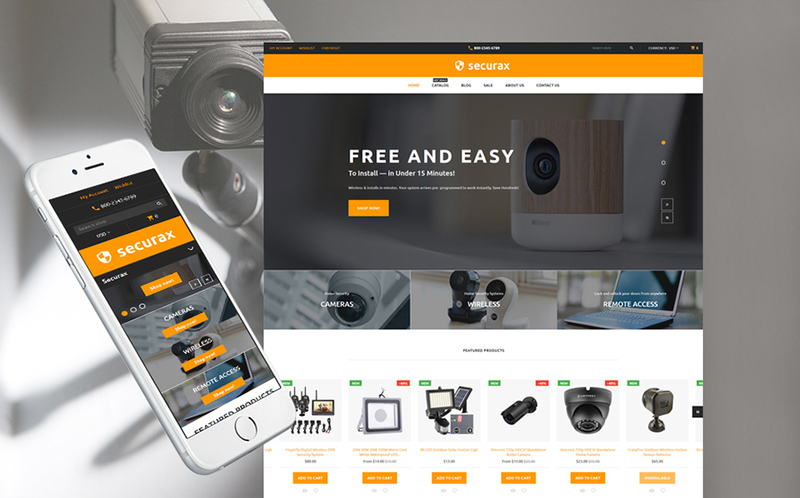 Don’t miss Securax. A nice and modern Shopify theme that offers powerful tools for creating a better look for your online store. For example, promote your best products using custom slides, organise your categories easily, change the colour palette, and more. 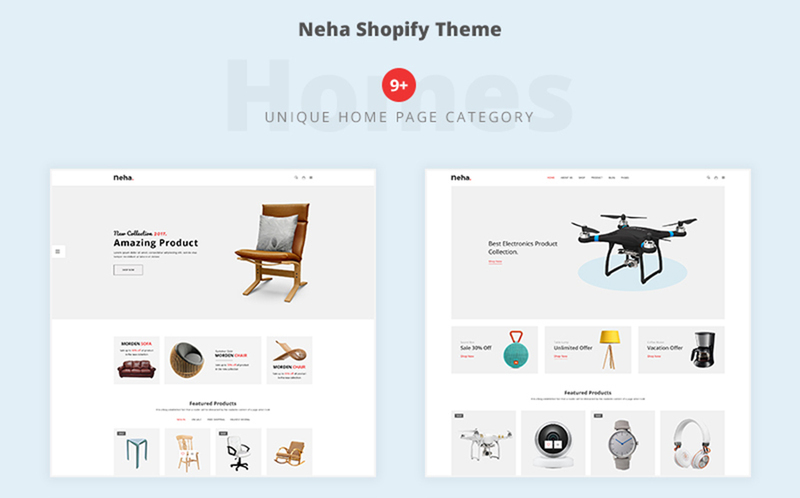 Enjoy this representative of best Shopify themes for your online store hand-picked here. The theme is multi-currency and multilingual, so you can reach a wider audience from all over the world. Besides, use different web forms to attract more visitors to your e-store. 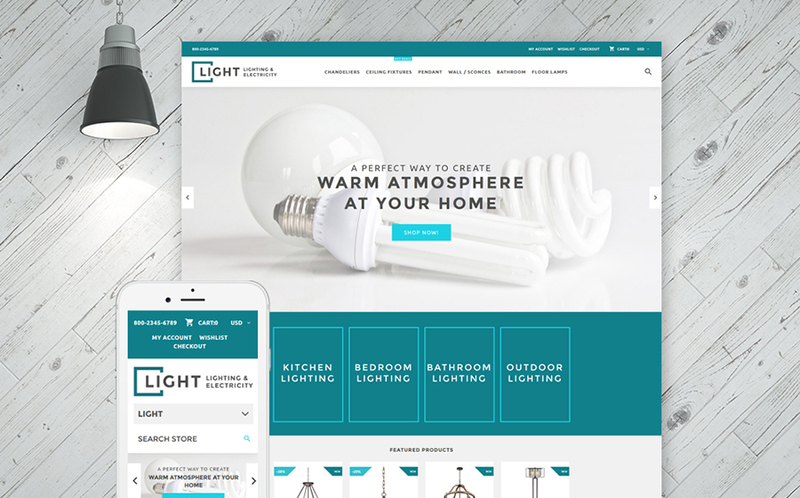 Designed especially for electricity and lights installation services, Light can be a great solution for your online store. Enhanced with multi-currency support, Product Badges and Product Carousel, it can help promote your exclusive products in a more trendy way. Poke around. Well, it’s worth your attention. Looking for a nice and modern solution for your future website? End your search here. 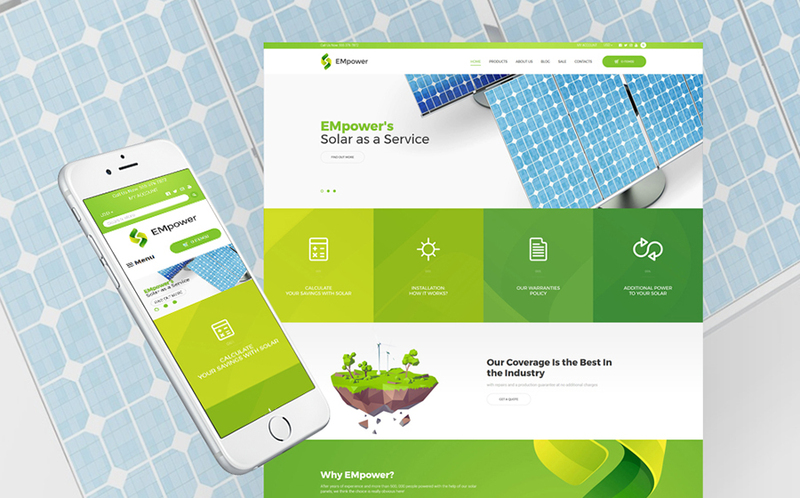 EMpower suits best for eco-friendly companies that wish to launch an outstanding online presence. Moreover, it offers a stunning design, powerful functionality, sorting options, and responsive layout. Enjoy its live demo preview. If you’re about to start a pharmacy store, DrugStore is the solution. 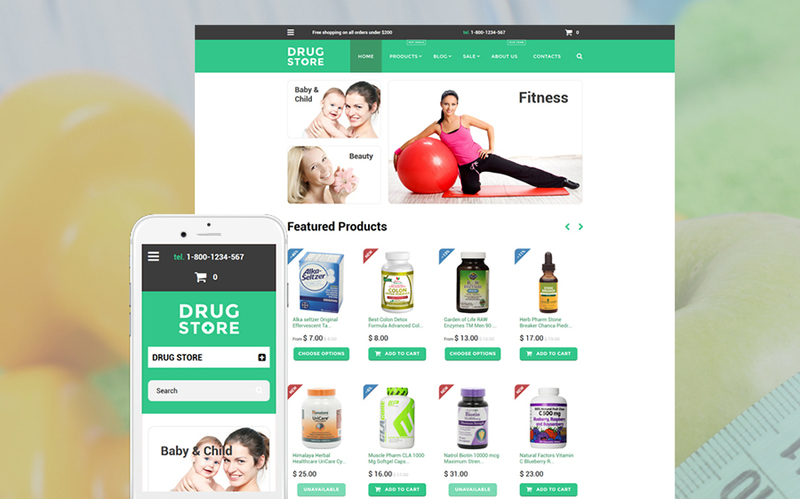 A well-optimised, fast and beautiful Shopify theme fits best for an online store selling medical supplies. Besides, it looks awesome on various screen sizes thanks to the responsive design. Finally, it’s SEO-friendly and cross-browser compatible. 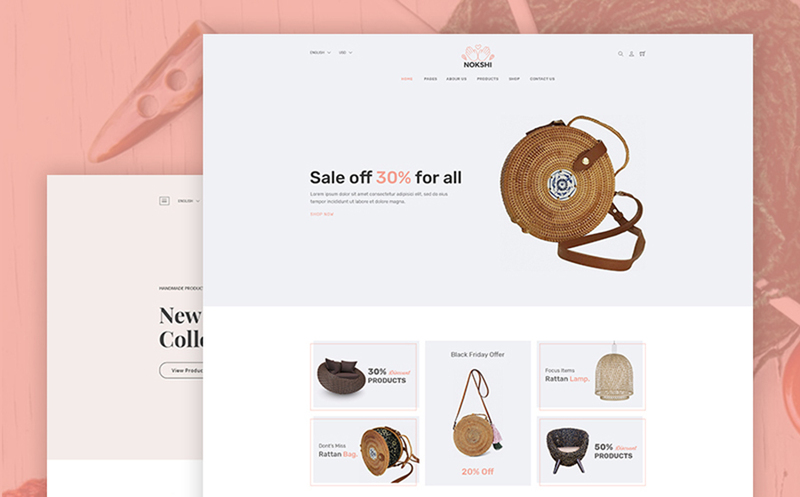 Nokshi is another attractive specimen of the best Shopify themes for your online store. The thing is that it fits great for a furniture store, watch, jewellery, accessories, and handmade products. Next, it offers four unique homepages, Product Badges, Banners, tw styles service sections, different header & footer styles. 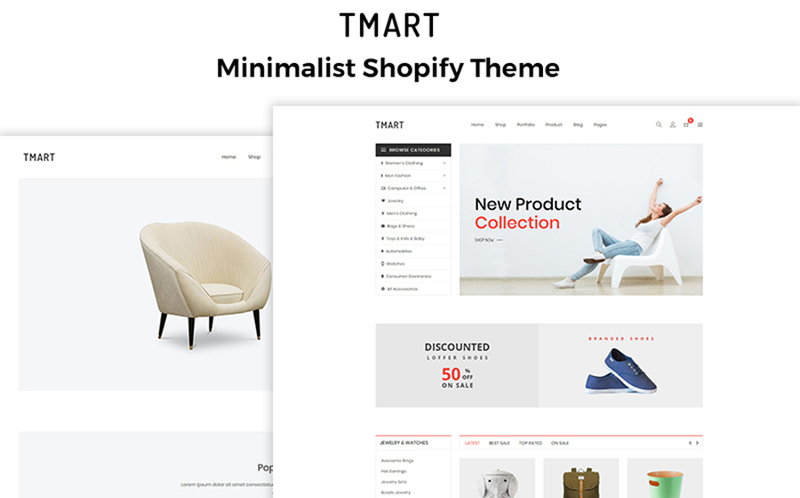 Shopify is, without a doubt, one of the best ecommerce website builders, and this theme is their masterpiece – specially designed for online stores! Want to launch an online store that impresses at first sight? Explore the power of Tmart. Thus, it’s minimalist and clean design fits best for fashion, beauty, shoes and denim product’s e-stores. 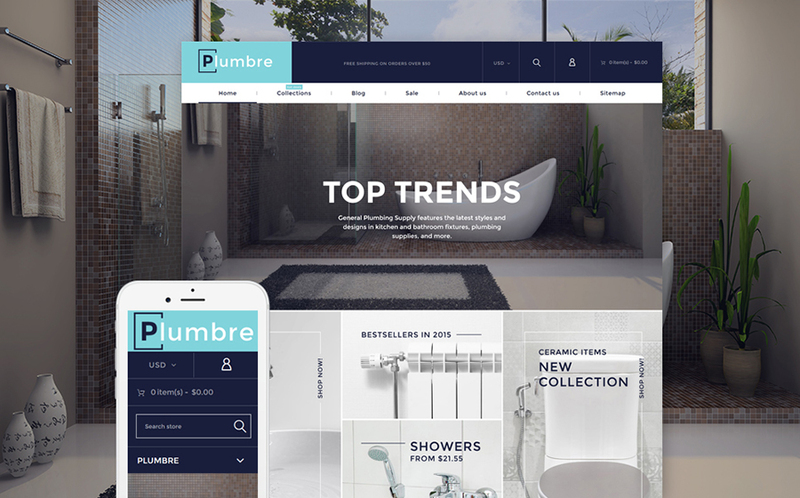 Besides, this top-notch solution offers 11 home designs, multiple header & footer styles, a truly responsive layout, and much more. Don’t shy away from KarDone. 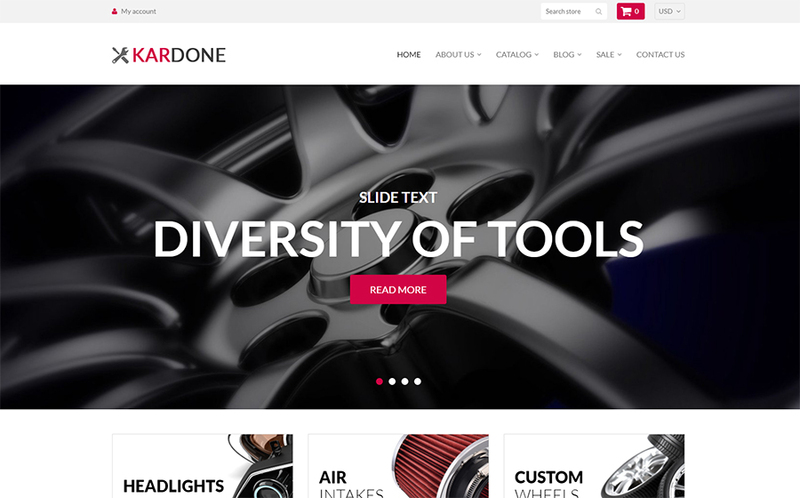 One of the modern auto parts Shopify themes offers you three ready-to-use stores with sections functionality. Besides, it offers multi-currency and multilingual support, interactive Ajax cart, Product Quick View, Product Carousel, and Brands. Enjoy its functionality. 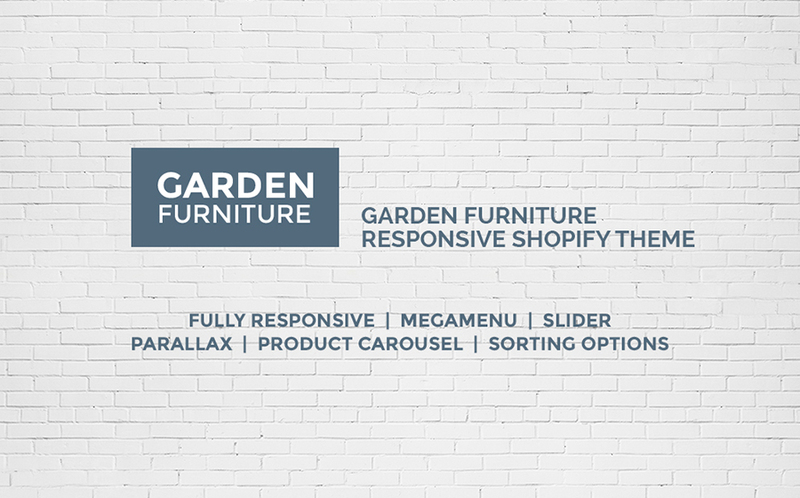 Garden Furniture is another top-notch Shopify theme that can save the day. Launch your modern e-store & reach a larger audience in a shorter time period. Don’t forget to start a blog & tell all the advantages of your brand. After all, customise your e-store to reflect your brand. That’s it. After all, don’t miss a chance to try any of these Shopify themes for your online store. Even though every business is different, there is at least one Shopify theme that matches your requirements best. 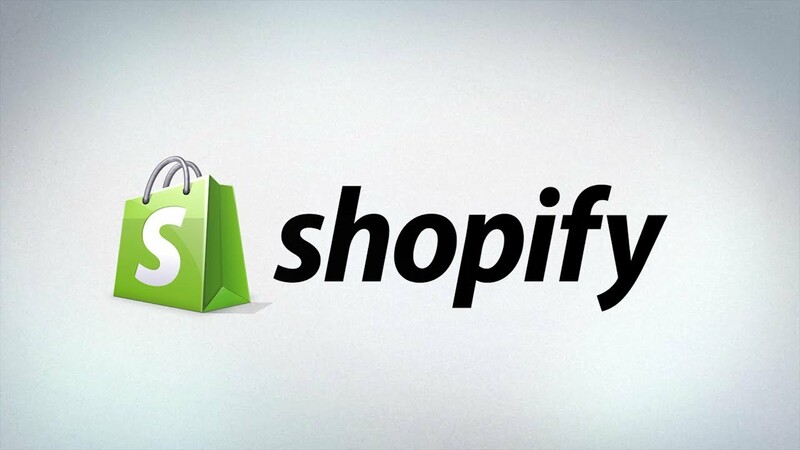 So, what Shopify theme is calling your name?